Scientists have discovered a piece of space debris that is set to plummet toward Earth on Nov. 13, according to Nature. The object, dubbed WT1190F, will mostly (or, possibly, entirely) burn up in Earth's atmosphere as it gets closer to us, but whatever's left is expected to land in the Indian Ocean, roughly 40 miles off the coast of Sri Lanka, at 6:20 UTC. It's about three to six-and-half feet wide and possibly hollow. It's not clear how old the object is or where it came from, but scientists are confident it's manmade. It was first detected by the Catalina Sky Survey in 2013, and spotted again through a telescope this month. There is lots of garbage in space—NASA noted in 2013 that more than 500,000 pieces are tracked as they orbit around Earth. That junk is made up of meteoroids and other natural objects, as well as rocket parts and debris, like payload carriers, paint, and more. WT1190F [is one] one of the very few space objects whose impact can be accurately predicted. More unusual still, WT1190F was a 'lost' piece of space debris orbiting far beyond the Moon, ignored and unidentified, before being glimpsed by a telescope in early October. 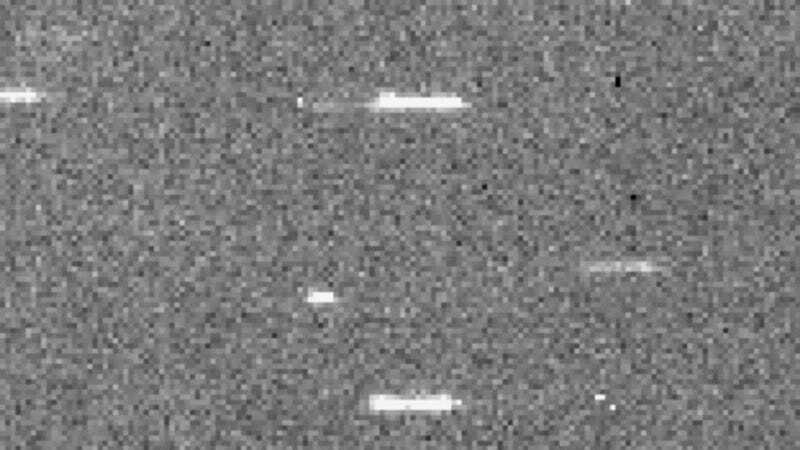 ESA said in a statement that the "rare reentry…offers an excellent opportunity to gather data to improve our knowledge of how objects interact with Earth’s atmosphere." Nov. 13 is a Friday, and some are speculating that this is a sign the object will bring on the end of the world. Like the asteroid set to fly by Earth on Halloween, it (probably) won't.